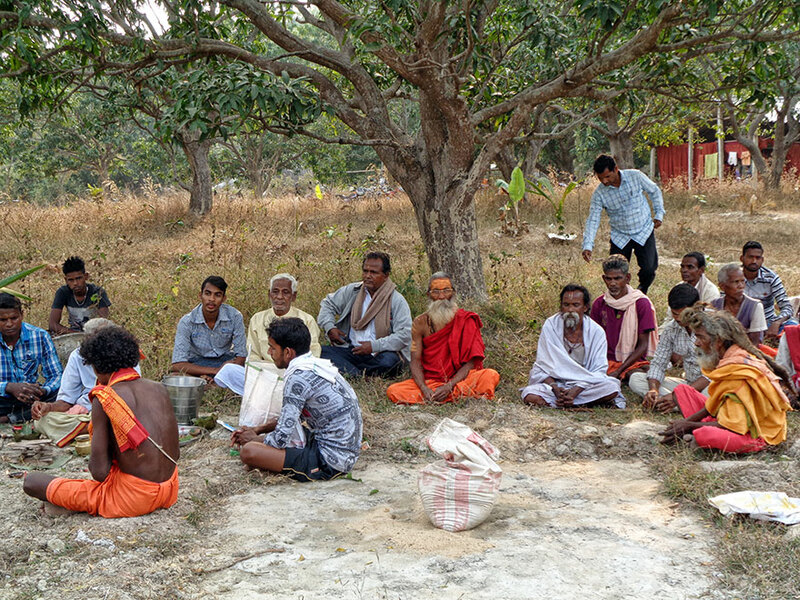 The local villagers organized the function, and several nearby sadhus also attended. 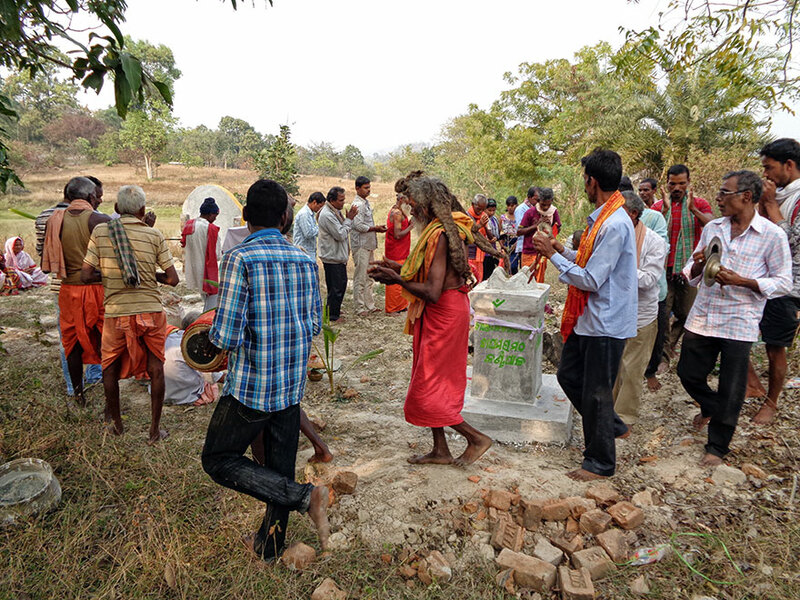 A small yagya was performed, followed by harinama sankirtana and distribution of annadanam to several hundred villagers and guests. 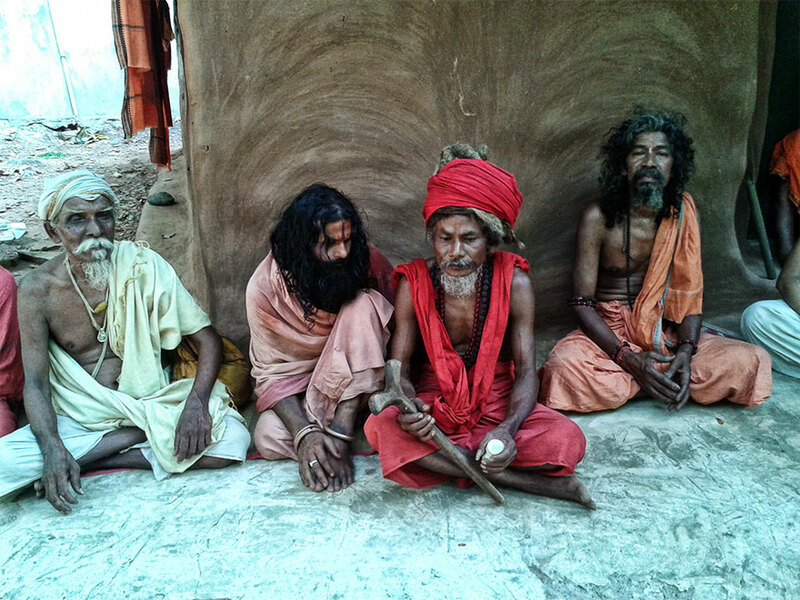 The villagers had written a song about Chaitanya Baba and his life, and all sang it together. 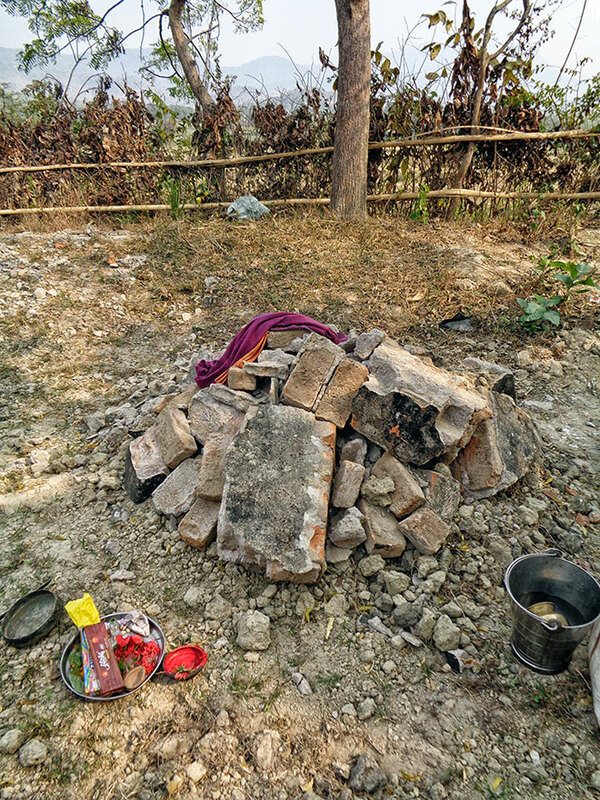 The villagers are very poor, so they only marked the samadhi with a pile of bricks and stones. 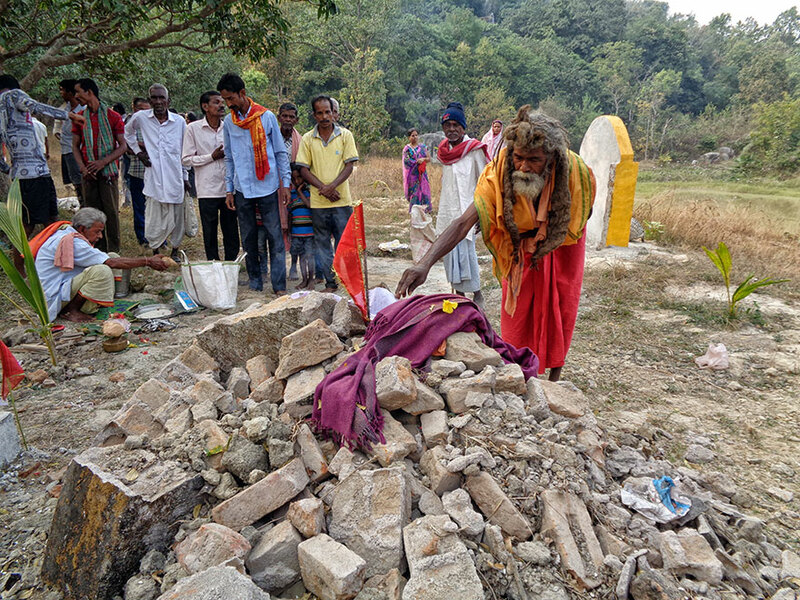 We already spoke with some sthapati masons and have arranged for them to come next month to build a small 6 foot tall samadhi mandir to mark the location for future generations. 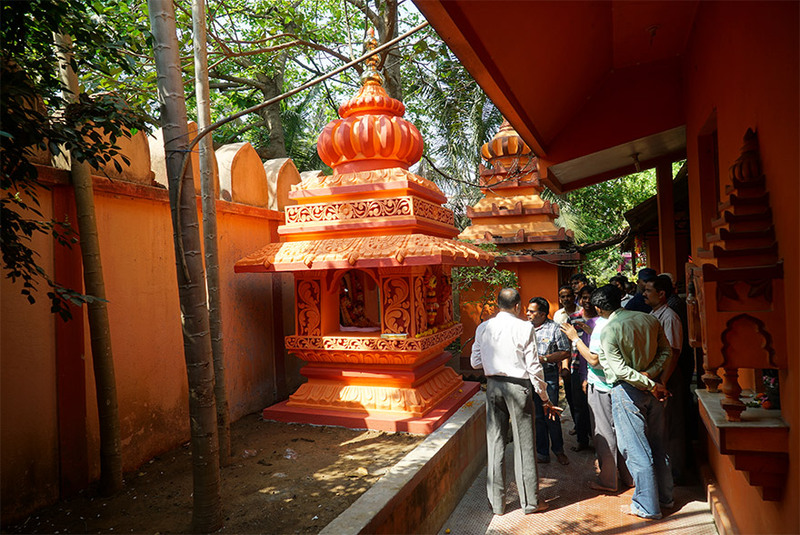 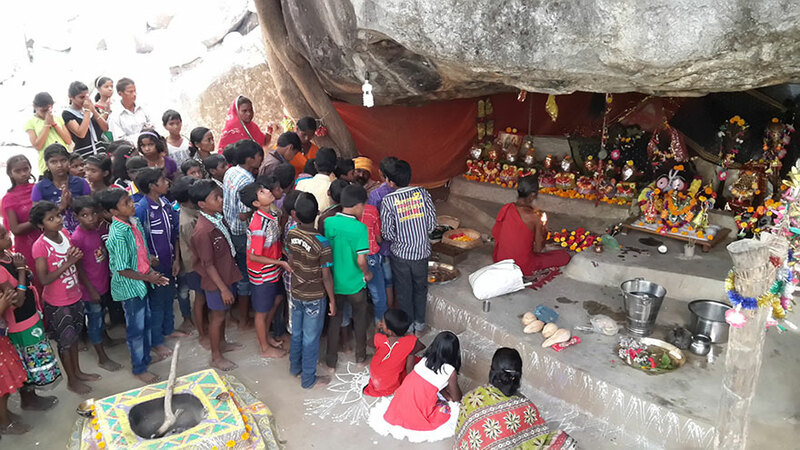 Villagers performed harinama sankirtana and circumambulated the samadhi of Chaitanya Baba. 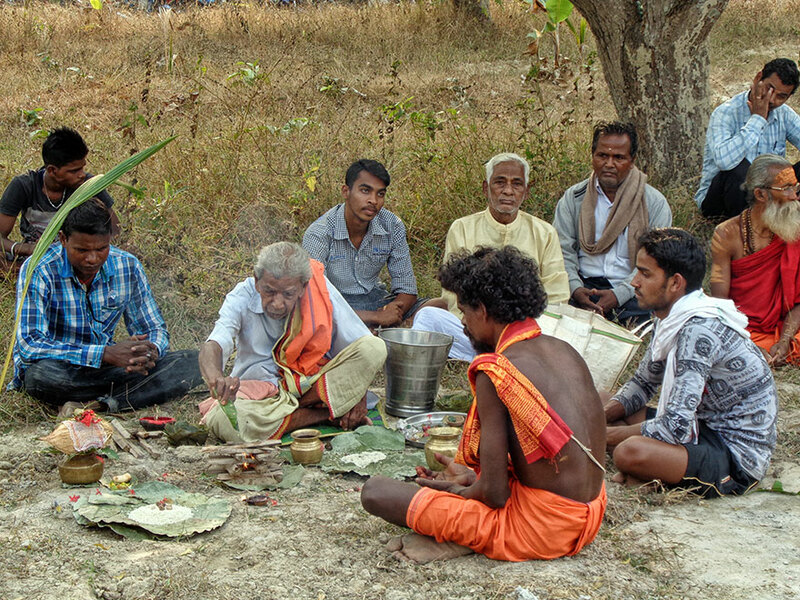 Sadhus and villagers attending the 11th day puja. 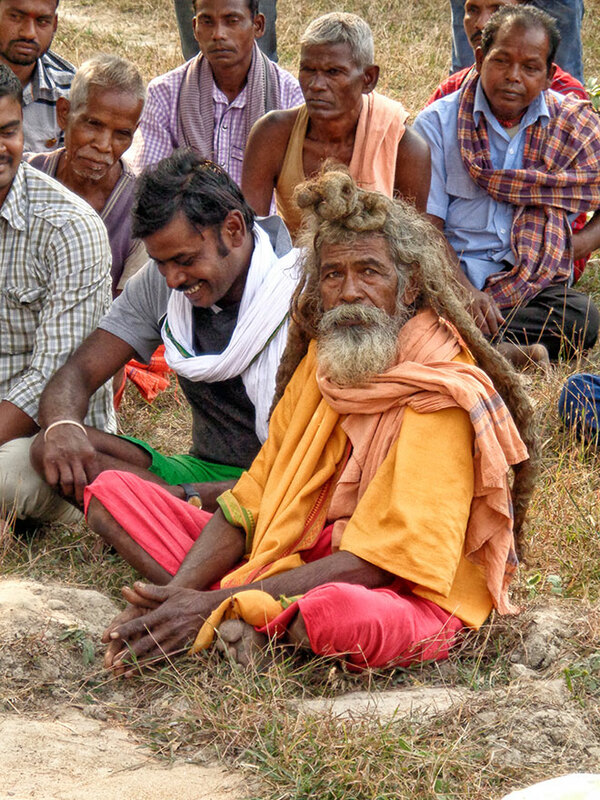 Kabuli Baba, disciple of Chaitanya Baba who has been serving him for the last 2 years. 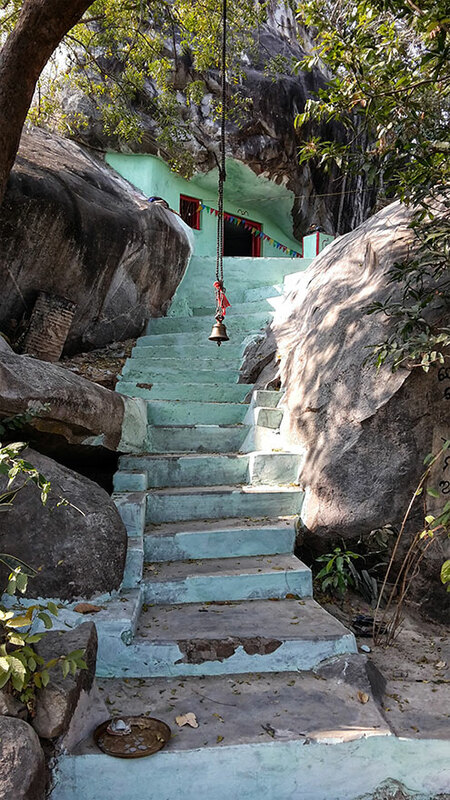 Tiger Cave ashram where Chaitanya Baba entered samadhi. 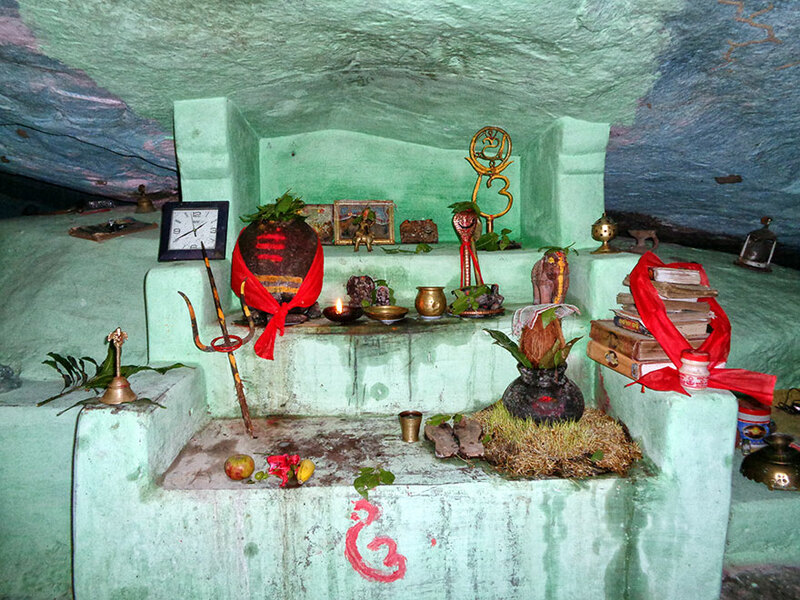 The main puja altar inside the cave. 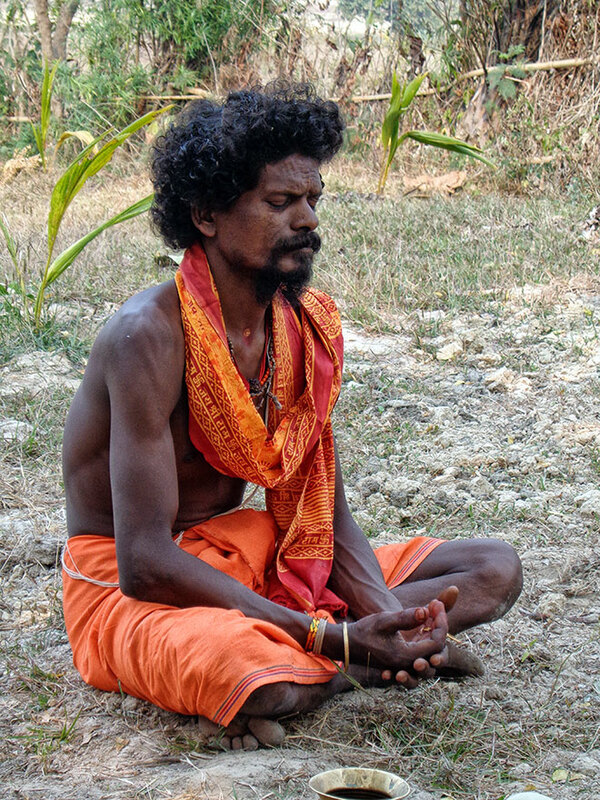 Who is this Chaitanya Baba? 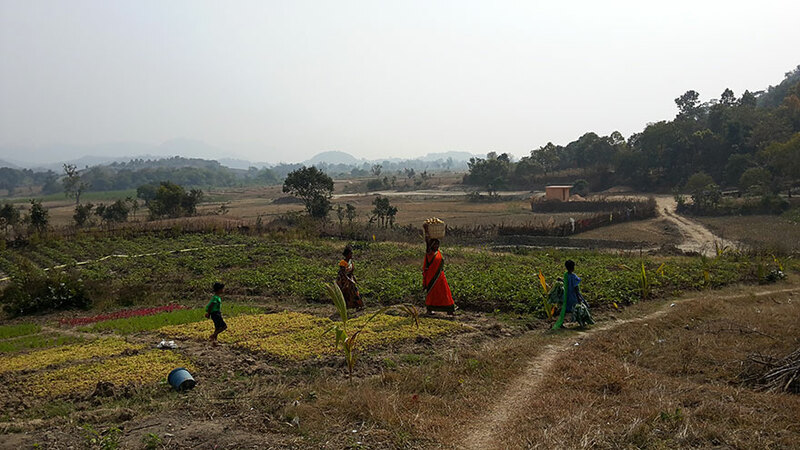 Many thanks for these pictures. 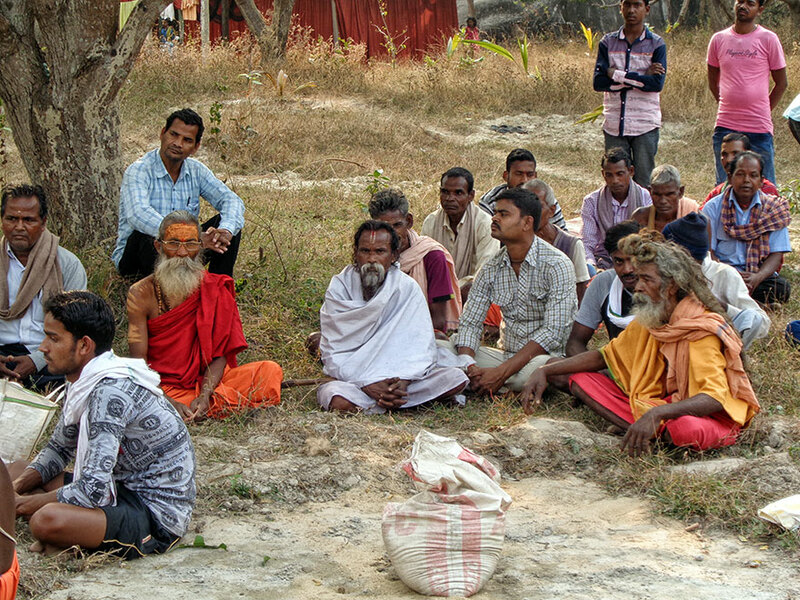 Astonished to find the humility and devotion of the villagers.